Researchers at the Wellcome Trust Sanger Institute and their collaborators have created Expanded Potential Stem Cells (EPSCs) in mice, for the first time, that have a greater potential for development than current stem cell lines. These stem cells have the features of the very first cells in the developing embryo, and can develop into any type of cell. Published today in Nature the methods used could also help produce similar stem cell lines from human and other mammalian species, including those such as pigs or cows where embryonic stem cell lines are still not available. The researchers also believe that their study could have implications for human regenerative medicine and for understanding miscarriage and developmental disorders. Stem cells have the ability to develop into other cell types, and existing stem cell lines are already extremely useful for research into development, disease and treatments. However, the two currently available types of stem cell lines - Embryonic Stem cells (ES) and induced Pluripotent Stem cells (iPS) - have certain limitations. It is not currently possible for them to form every type of cell since they are already excluded from developing certain cell lineages. To discover new stem cells for use in research and regenerative medicine, the researchers created a way of culturing cells from the earliest stage of development, when the fertilised egg has only divided into 4 or 8 cells that are still considered to retain some totipotency - the ability to produce all cell types. Their hypothesis was that these cells should be less programmed than ES cells, which are taken from the around-100-cell stage of development - called a blastocyst. They grew these early cells in a special growth condition that inhibited key development signals and pathways. 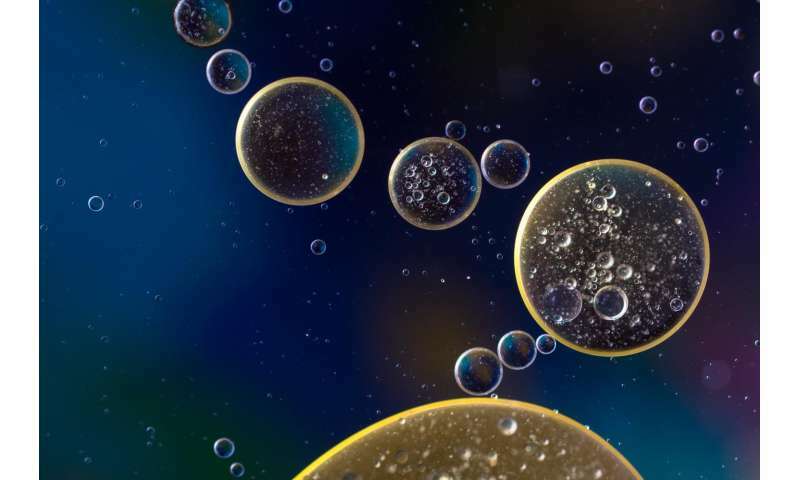 The scientists discovered that their new cultured cells kept the desired development characteristics of the earliest cells and named them Expanded Potential Stem Cells (EPSCs). Importantly, they were also able to reprogramme mouse ES cells and iPS cells in the new condition and create EPSCs from these cells, turning back the development clock to the very earliest cell type. Dr Pentao Liu, lead researcher of this project, from the Wellcome Trust Sanger Institute and an affiliate faculty member of the Wellcome Trust-MRC Stem Cell Institute, University of Cambridge, said: "The earliest cell is like a blank piece of paper, in theory it should have the greatest development potential. This is the first time that stable stem cell lines of these earliest mouse cells have been possible, and we see that they do indeed keep the molecular features of the 4-8 cell embryo and can develop into any cell type." As a fertilised egg develops into a blastocyst, it produces cells that will form the embryo - where ES cells come from - and two other types of cell that will develop into the placenta or the yolk sac. It is possible to establish three different types of stem cells - including ES cells - from these three cell types in the blastocyst. EPSCs are the first stem cells that are able to produce all three types of blastocyst stem cells, which gives them much greater potential for development. Dr Jian Yang, a first author on the paper from the Wellcome Trust Sanger Institute, said: "EPSCs provide a platform to study early embryo cells in detail at the molecular level to understand development, not only in mouse, but ultimately in future in humans. This new method of producing stem cells could be enormously helpful for studying development, more efficiently generating functional human cells, and researching treatments for pregnancy problems such as pre-eclampsia and miscarriages." Professor Hiro Nakauchi, a co-author on the paper from Stanford University, said: "This is a fantastic achievement, by working with the very earliest cells, this study has created stem cell lines that can form both embryonic and all the extra-embryonic cells. The methods and insights from this study in mice could be used to help establish cultures of similar stem cells from other mammalian species, including those where no ES or iPS cell lines are available yet. The research also has great implications for human regenerative medicine as stem cells with improved development potential open up new opportunities. Further research in this area is vital, so that we can properly explore the potential of these cells."